Just over two and a half years ago, I inadvertently found myself having one of the most fantastic experiences of my life. 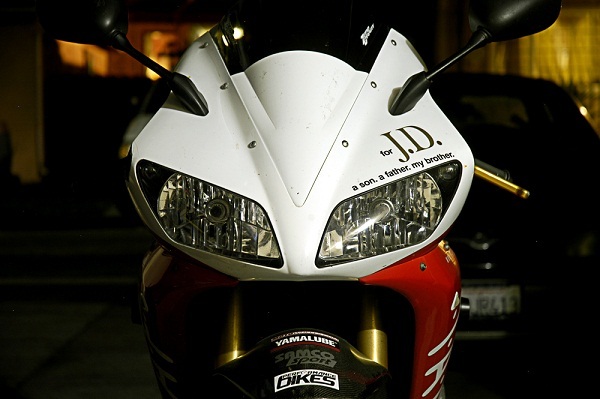 Suffice it to say, though I had only hoped to display my bike in any area they could make available for me under the Yamaha banner, what Sarah allowed me to do at the time was more than I dreamt of. 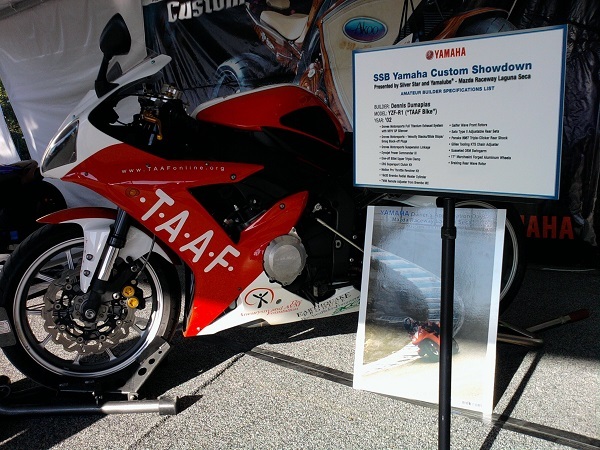 It was like an evolution from my decision to turn my motorcycle into a “moving billboard” for The Aneurysm and AVM Foundation (TAAF), to being able display this work in a motorsport event that I religiously followed! Each month, PB asks their viewers to submit their pride and joy, a handful of which are chosen by PB to be featured in their two-page Riders’ Specials segment, with a photo of the bikes and some choice words from the owners. 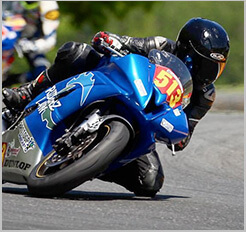 Last month, I submitted my bike. So what that I was a reader from the US – worse that could happen was they say “Thanks, but no thanks,” and the best case scenario was they’d let my bike have a corner of their page in the next issue. 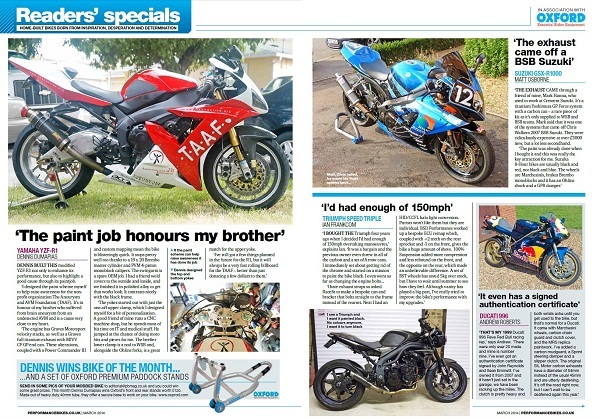 As luck would have it, they did accept my bike for their Riders’ Specials column for the March 2014 issue. Of course I was beyond STOKED at the prospect of seeing a photo of my bike and my name printed on the magazine that I would religiously steal from my friend Rob! 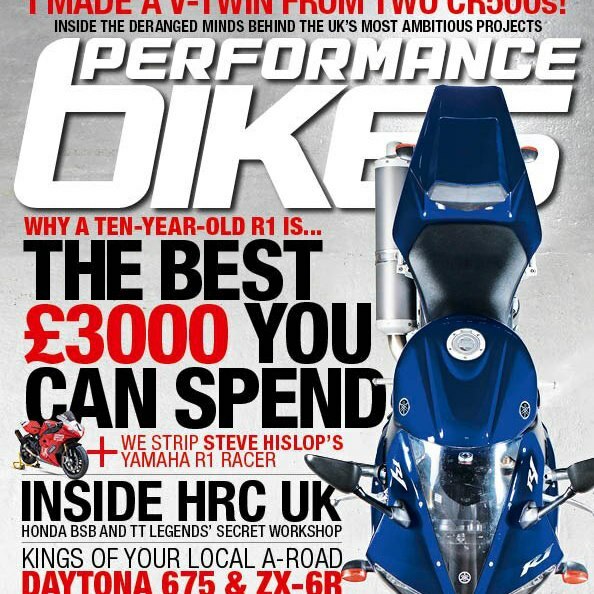 The guys and gals at PB were awesome enough to choose my bike as their top pick from all the submissions, giving my bike and words a full-page spread! Even in the age of digital information and media, where your actions and words can reach farther than you could intend or imagine, there is still something to be said about seeing your work and name printed on a regularly distributed publication as an achievement. This moving billboard of mine I made to create awareness for TAAF, for it to reach as far as the United Kingdom in a publication that I respect – well – it makes one feel very accomplished. This bike has taken me places I didn't think I could get to. To be honest, it’s a bit strange to be continually rewarded for an effort that you intended as a gift to something greater than you.